I'm so grateful to God for life this week. Two big events took my peace and kept me fearful for a bit, even though I prayed fairly unceasingly during the waiting periods. I was not in control of either situation, and I realized how weak my faith can be. By the grace of God, I'm still His. He never left me alone. Situation one: I've had blood in my urine for a month. Not enough to see, but enough to need a cat scan to look at my kidneys and my bladder. I had the cat scan and waited a week before the doc called me at 7:30 in the morning and said the CT did show something abnormal, and could I come in that afternoon for a cystoscopy? I wanted to yell, can I come in right now?!? From 7:30 until 1:30, I worried. I prayed and worried. I called my husband, who came home from work to go to the doc with me. Once he was home, we tried not to imagine the worst, but of course, we did. I texted my best friend, my daughter, and my sister to ask for prayer. My sister told me later that while she waited for the final word from me, she wondered if she would be able to donate to me one of her kidneys. I cried when she told me this. During those waiting, morning hours, I wiped up the kitchen and folded laundry and scrolled mindlessly though facebook, anything to occupy my mind. Every time my mind would consider the fact that I might hear fatal news, I rolled that into the prayer, Be still and know that I am God. Be still and know that I am God. Be still, be still, be still. We arrived at the doctor's office early, and I flipped though an old TIME magazine, reading parts of articles, comprehending nothing. The nurse called me back, and my husband came with me. I would be on my back in stirrups for the cystoscopy, but I wanted him in the room. Once I was gowned and ready, we waited another fifteen minutes. It seemed like an hour. The doc came in and explained that the CT showed my kidneys were fine, but it appeared there was a mass on my bladder. The cystoscopy would give him a better look. Within a minute, the scope was in and we saw my bladder on the small screen to my left. He pointed out different aspects of my bladder - all healthy tissues. No mass. He smiled and said, "Your bladder is fine. I suspect it was empty during the CT and it folded in on itself, which bladders sometimes do." I stared at him. "The bladder is fine? The kidneys are fine?" "Both fine," he said. "The urethra is a bit irritated. We'll give you some cream for that, and I'm 99% sure the bleeding will stop. It's nice to get good news once in a while, isn't it?" I took a deep breath and looked at my husband. He had tears in his eyes. Situation two: Exactly a week after the fearful morning/good news cystoscopy, our youngest son was in a car accident. 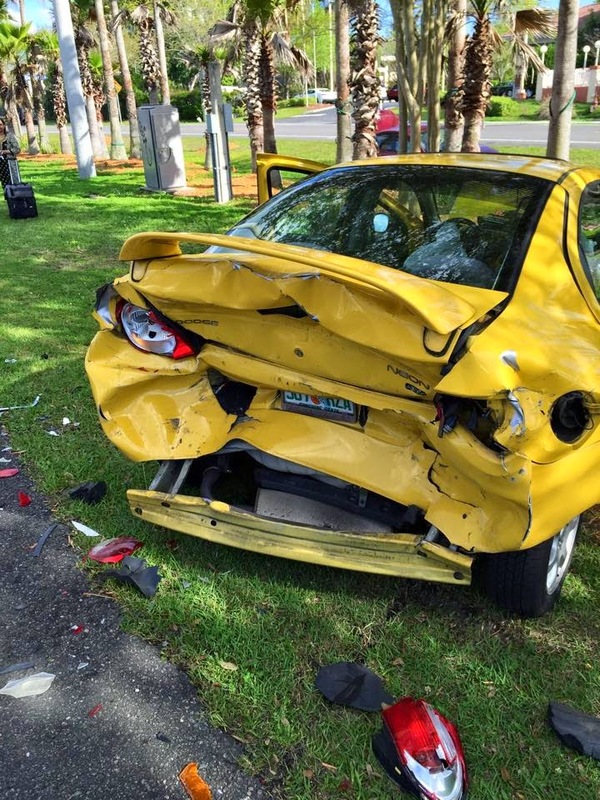 He was rear-ended by a young woman who plowed into him at a stop light. 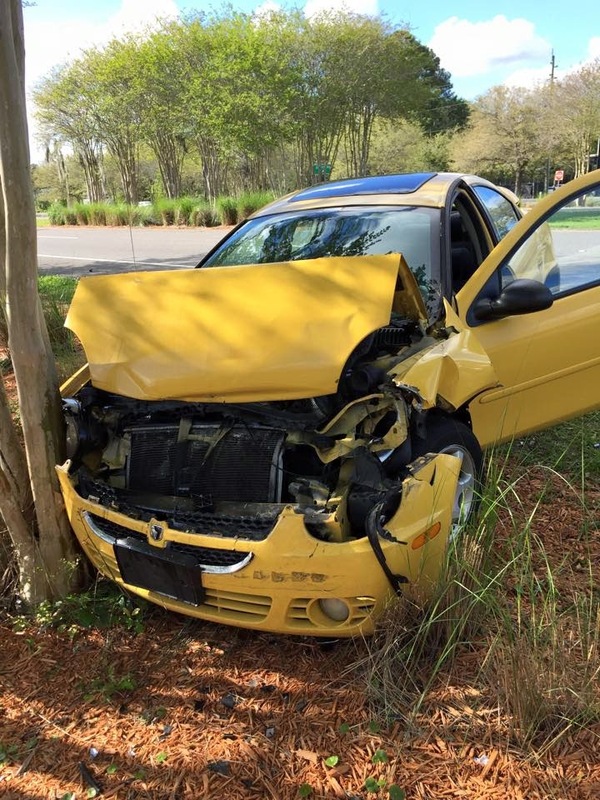 He swerved, went off the road, and hit a tree. He was crunched from both ends. The air bag knocked him with such force, his glasses broke, and his seat was flattened into a reclining position. With such impact from both ends, his 6'3" frame could have been broken in many places. Our daughter-in-law called us (we are two hours away) and kept us updated. Until he was seen in the ER and cleared from head or internal injuries, I was back in worry/prayer mode. A few hours later, we talked to our son. He was sore, but assured us he was OK. The accident was not his fault, insurance would kick in, he already had an appointment to get new glasses. I breathed deeply, and my husband and I looked at each other, again, with tears in our eyes. People get terrible medical news every day. People are injured or killed in car accidents every day. I don't know why we were spared the worst of things these past two weeks. I know God is good all the time, whether we are ill or well, safe or harmed. Life is random and crazy. God is not. He's in control all the time. He's loving all the time. He wants the best for us all the time. A time will come when life will not serve me the best outcome. I pray I will remain true to whom I know God to be. All the time.